It was once one of the most famous shopping locations in Zimbabwe but the collapse of the country’s economy meant the Ximex Mall was unsustainable. When it closed, the street traders and illegal venders moved in, making it their own and turning what was once one of the city’s best shopping malls into a hive of down-market activity. It became a dumping ground with locals throwing their domestic waste into the abandoned mall. Like much of economically devastated Zimbabwe, it lay for a long time as a battered shell of its former self. Ximex Mall has an interesting history spanning back decades. The property developer Sam Levy converted a car showroom into a department store in the 1960s and then into a shopping mall however with the economic crisis that tore Zimbabwe apart, the mall closed and was sold on for redevelopment. 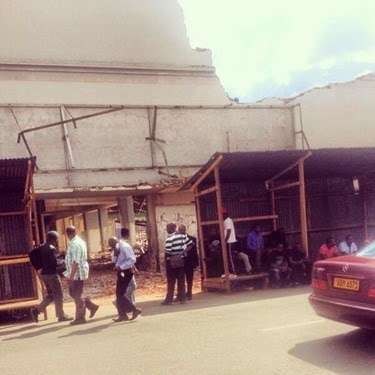 The new owners, NSSA, had plans to build a multi-storey office and shopping destination however while closed, it became a hub for street venders trading illegally and selling items such as phones. Police were constantly raiding the building to shut it down however the street dealers returned. Many people in the economically ravaged country take chances where they can to make ends meet. The Ximex Mall became a waste ground with rubbish piling up in various parts of the mall. 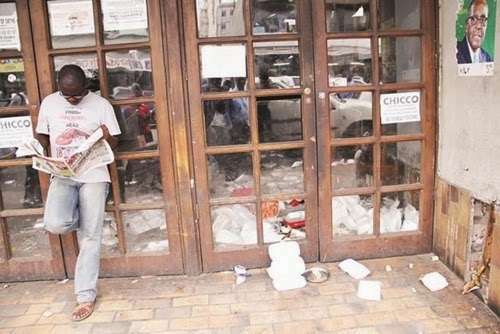 Ximex mall was located in one of the more upmarket areas in Harare and locals were not happy about the abandoned building and the people it was attracting. There were calls for it to be demolished and it was recently demolished and turned into a parking lot.